Our first finished Laura Heine Project Mini Havana by Esther Send. Awesome job! 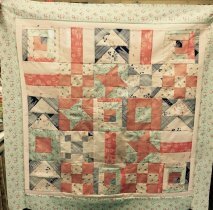 This baby quilt is designed and made by one of our former students Gayle Zreliak. Several of our beginning quilter's have brought their completed projects in for show and tell. Thanks so much Leslie and Nancy! This beautiful Quilt was made by Kate Potvin. The fabric is Garden Fresh made by In the Beginning. The Garden Fresh Book has several other beautiful quilts to make out of the fabric and is available in the shop. Anonymous says, "Lovely shop, beautiful merchandise, friendly service!" Ginny says,"Once again a pleasant visit." Myra says, "Great little quilt shop, will try to get back up to Suttons Bay to check it out again." Anonymous says, "Love this store!! Beautiful products and wonderful service!" 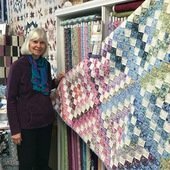 Nancy says, "Cherry Country Quilter's is a very special place to me. I took the Beginning Quilting class taught by Sherry Sienkiewicz and enjoyed learning many new quilting techniques. Their fabrics, personnel and extra help are the best. I look forward to my next quilting project." Anonymous says, "Personable, supportive of community, patient, helpful, quality product." Lesa says, "A friendly store with knowledgeable staff." Angela says, "Pleasant to work with." 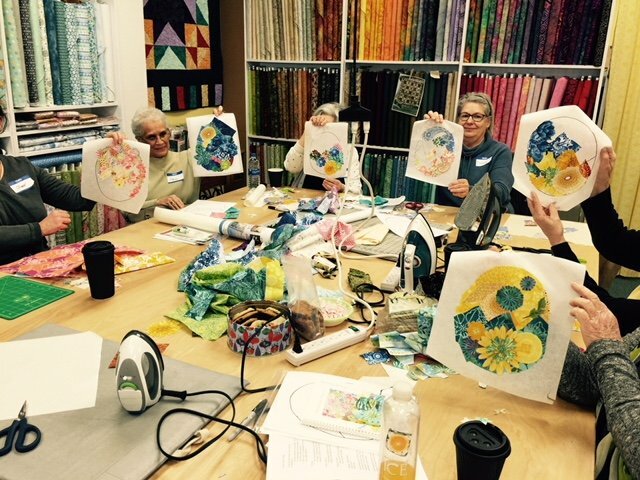 Jeanne says, "Fabrics and patterns. Small Store. Friendly staff." Janet says, "Friendly staff and wonderful fabrics." Linda Mead, owner of Cherry Country Quilters, mentored me as I constructed A Prairie Gathering, Quilt Of the Quarter Program by Pam Buda. The ending result is a family heirloom quilt. It's beautiful! Linda's skills are top-notch, and her passion for quilting and helping quilters is truly amazing. 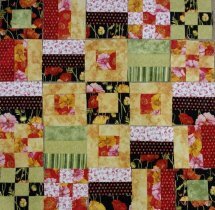 I recommend participating in the many activities that are offered, and signing up for her latest quilt of the month, or why not try making A Prairie Gathering quilt for yourself?